CASPAR Validation. 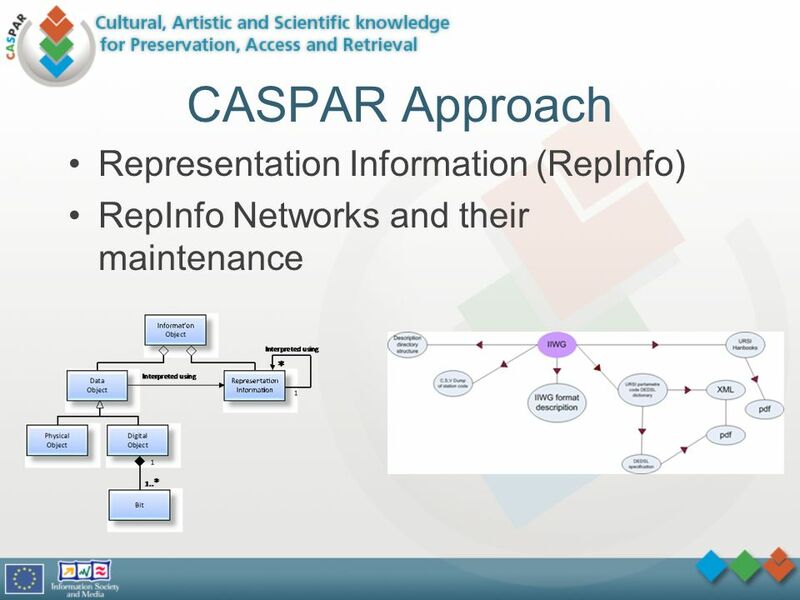 Metrics CASPAR Approach Representation Information (RepInfo) RepInfo Networks and their maintenance. 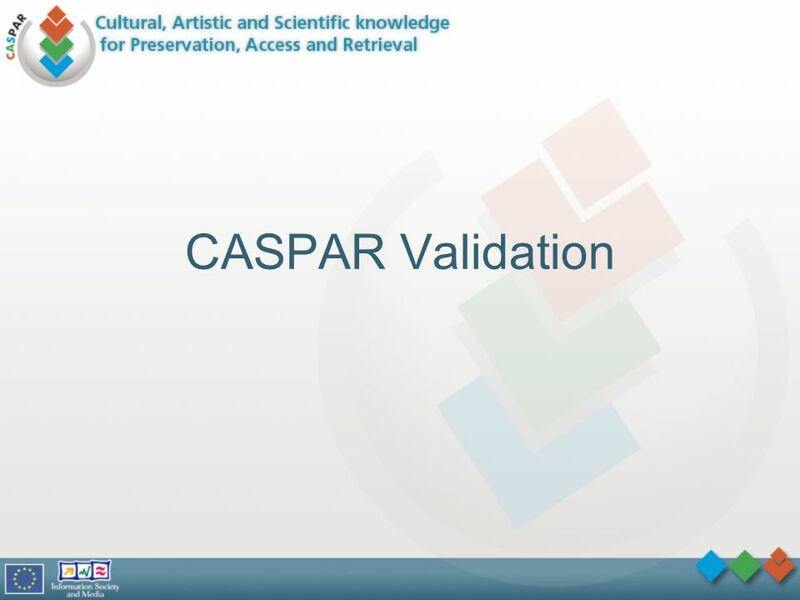 Download ppt "CASPAR Validation. 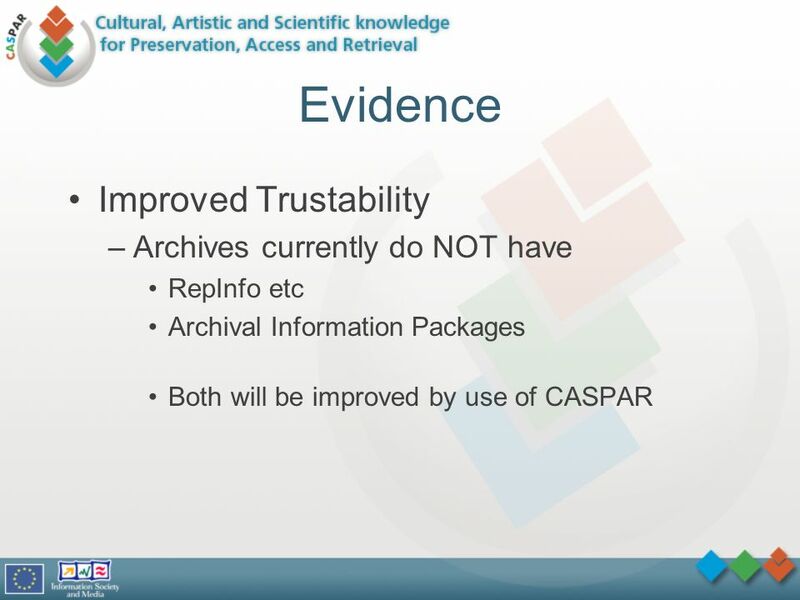 Metrics CASPAR Approach Representation Information (RepInfo) RepInfo Networks and their maintenance." 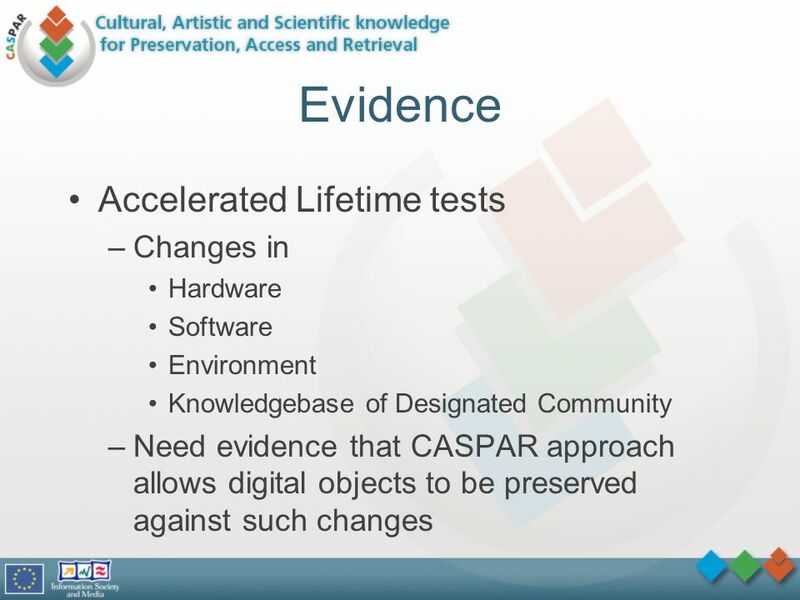 1 The CASPAR Project Key Components - Overview Luigi Briguglio Engineering R&D Laboratory – Roma CASPAR FINAL WORKSHOP IN ROME SCUOLA SUPERIORE PUBBLICA. 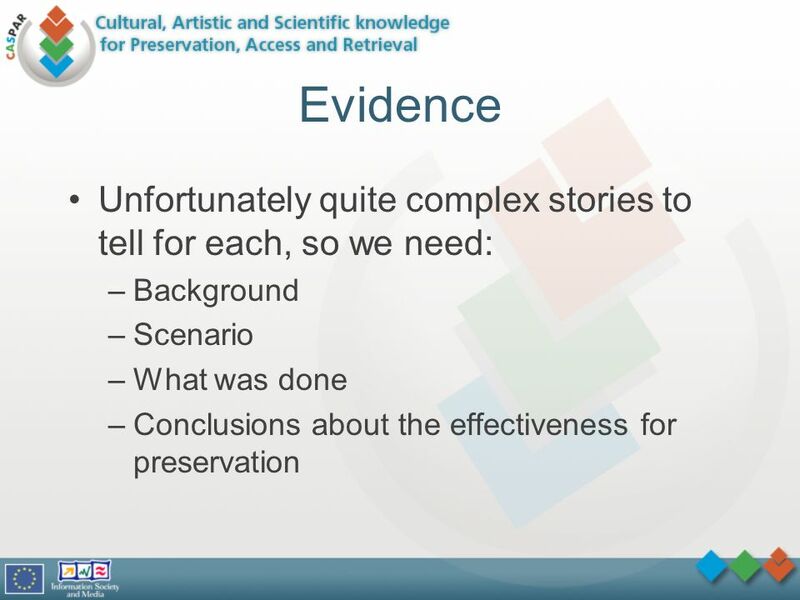 Research Data Access and Preservation Summit Panel 2 - Promoting Re-Use of Scientific Collections Some responses to the questions posed... John Harrison. 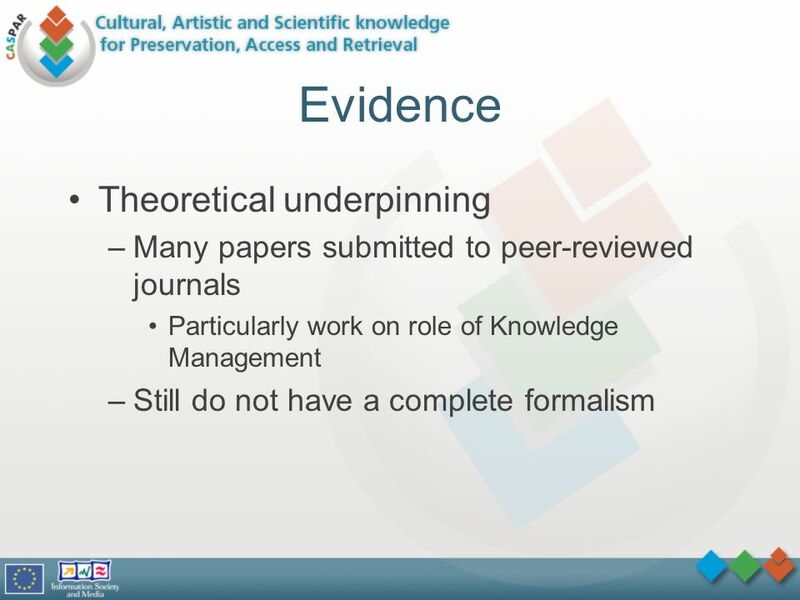 Curating Research: problems and policy Dale Peters Scientific Technical Manager DRIVER II. 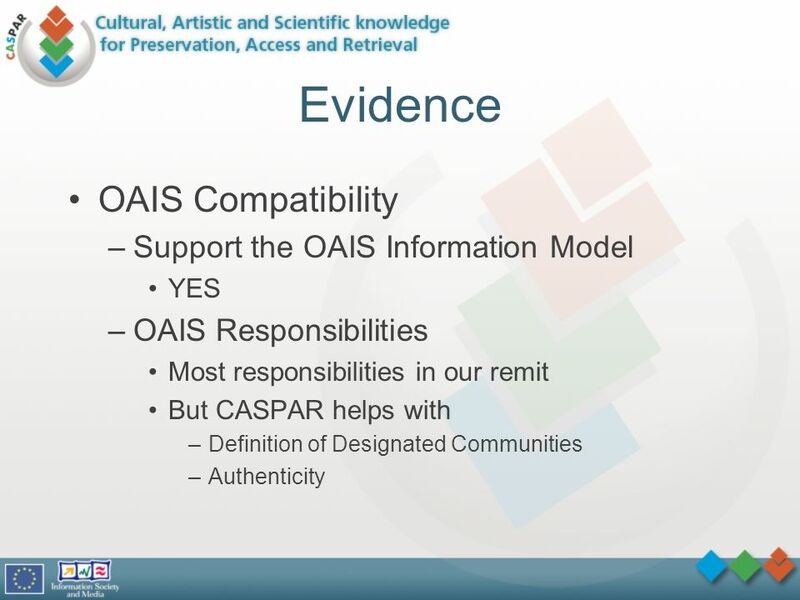 CASPAR Preservable Infrastructure Addressing Preservation with an OAIS based Infrastructure Luigi Briguglio Engineering R&D Laboratory – Rome (Italy) 3rd. 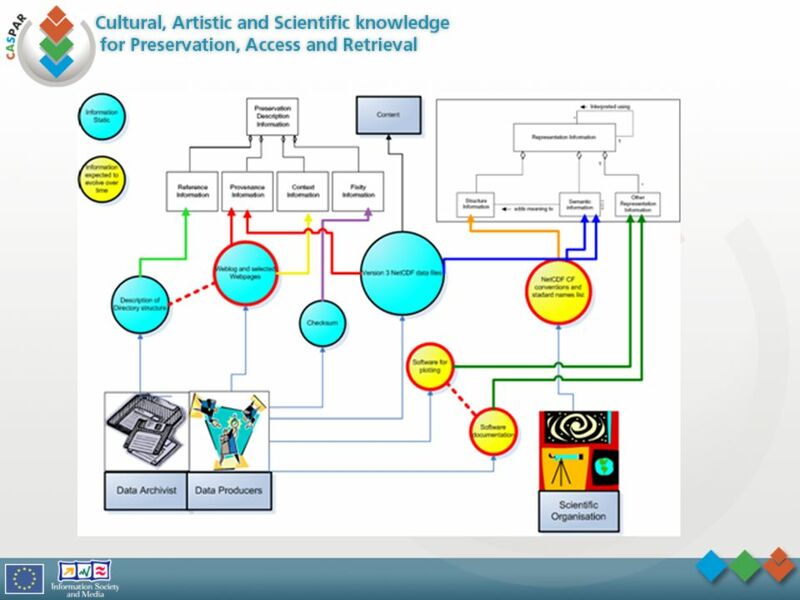 A centre of expertise in data curation and preservation CETIS MDR SIG::28 June 2006::University of Bath Funded by: This work is licensed under the Creative. Long-Term Preservation. 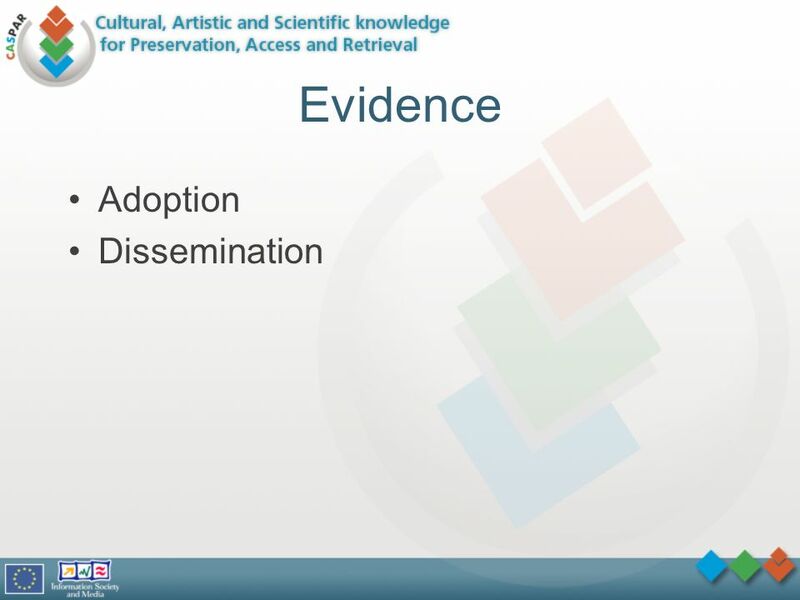 Technical Approaches to Long-Term Preservation the challenge is to interpret formats a similar development: sound carriers From. 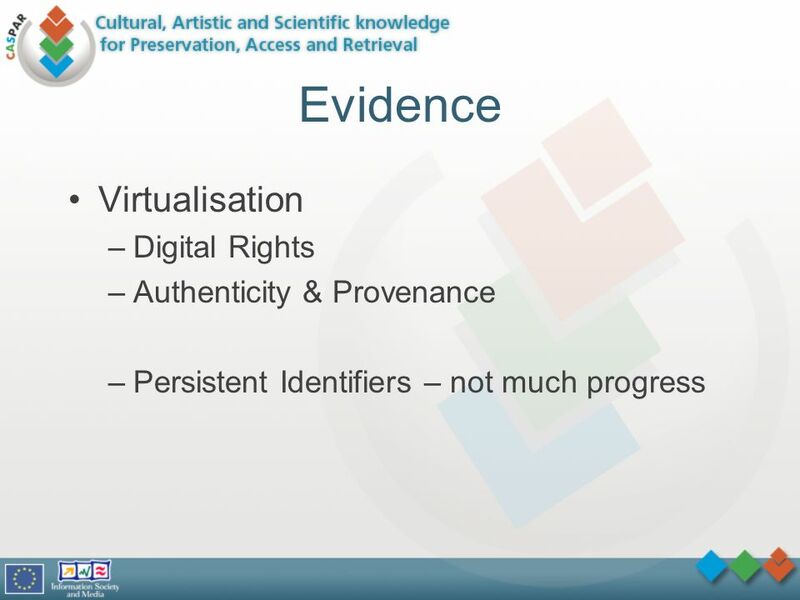 DigCCurr 2007: What digital curators do and what they need to know The CASPAR view on: What digital curators do and what they need to know : Research Perspectives. 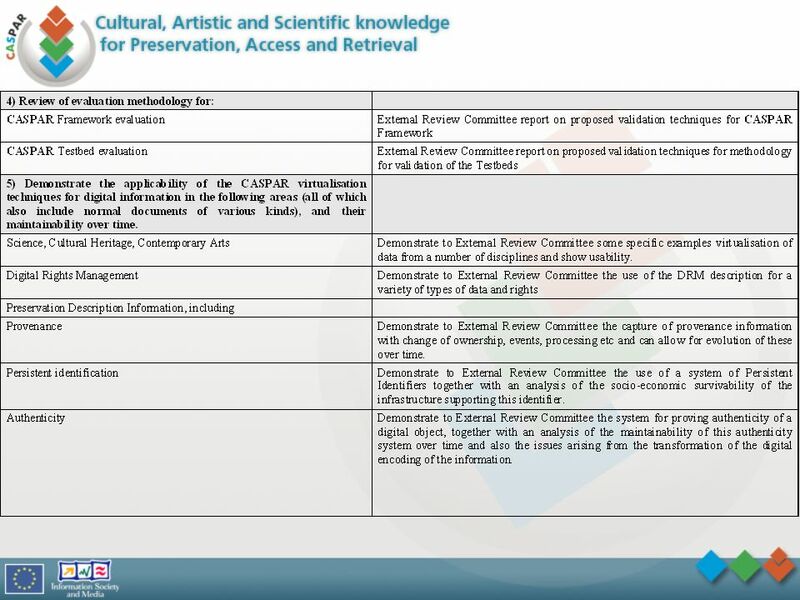 Co-funded by the European Union under FP7-ICT Alliance Permanent Access to the Records of Science in Europe Network Co-ordinated by aparsen.eu #APARSEN. Fedora Users’ Conference Rutgers University May 14, 2005 Researching Fedora's Ability to Serve as a Preservation System for Electronic University Records. 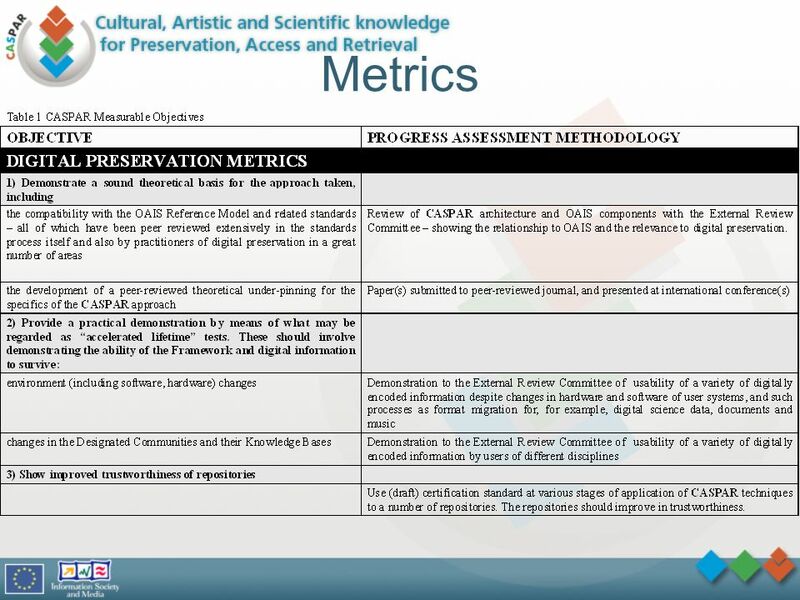 Digital Preservation Sustainability on the EU Policy Level Elevator Pitches. CODATA 2006, Beijing, China Oct CASPAR: Early results and future goals David Giaretta. SCIDIP-ES services and toolkits David Giaretta. Preserving digitally encoded information Ensure that digitally encoded information are understandable. 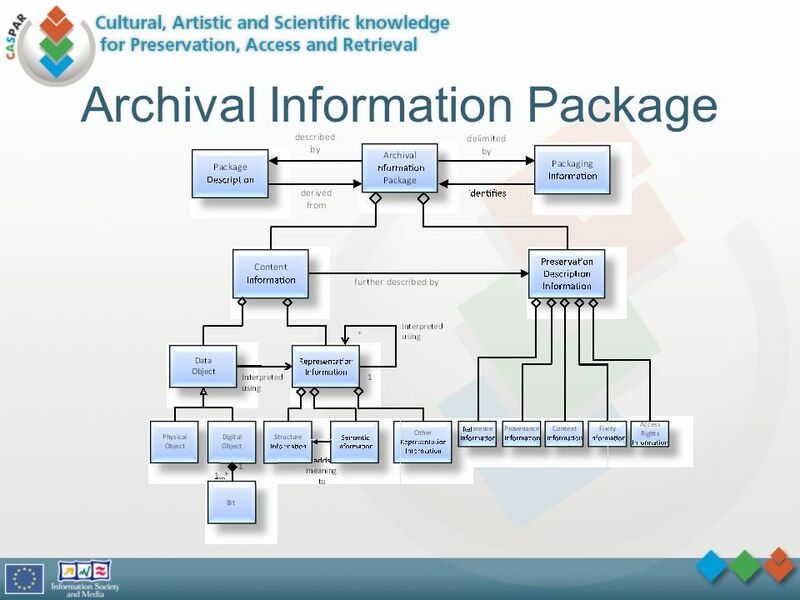 Digital Preservation - Its all about the metadata right? 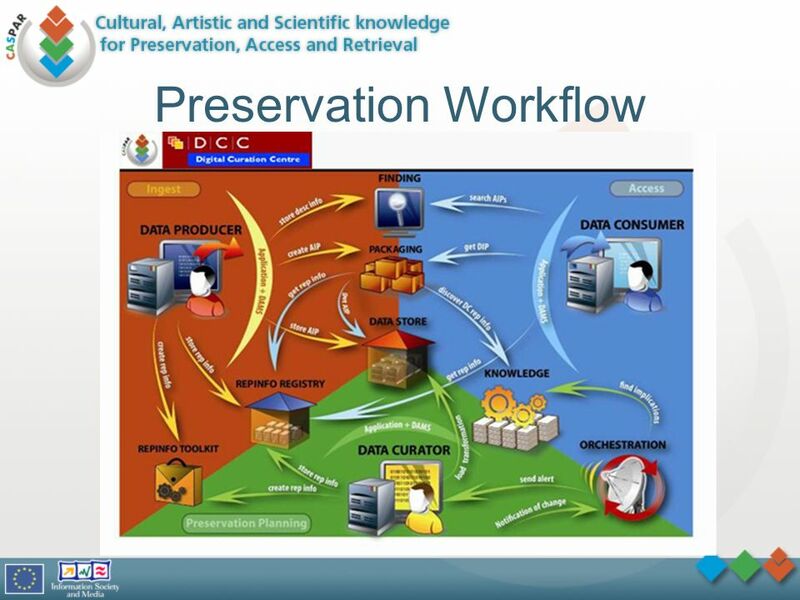 “Metadata and Digital Preservation: How Much Do We Really Need?” SAA 2014 Panel Saturday, August. Transformations at GPO: An Update on the Government Printing Office's Future Digital System George Barnum Coalition for Networked Information December. SCIDIP-ES Components Oct ,Brussels. 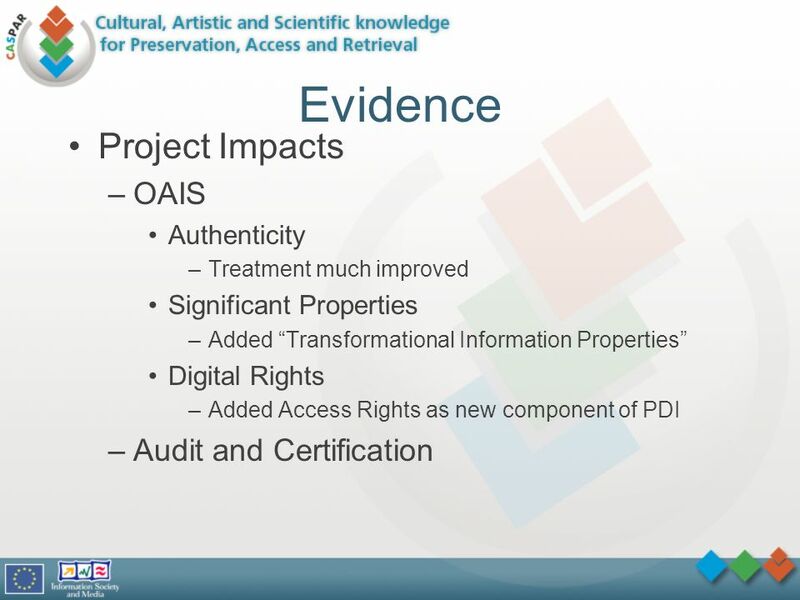 Basic Preservation Strategies Often stated as: “Emulate or Migrate” OAIS concepts change these to: Add Representation. Thursday 2011-05-19T07:30:00 (UTC) Arnold Rots. Program Norman Gray: Long-term URIs in astronomy Sébastien Derriere: SIMBAD URIs Arnold Rots & Alberto.